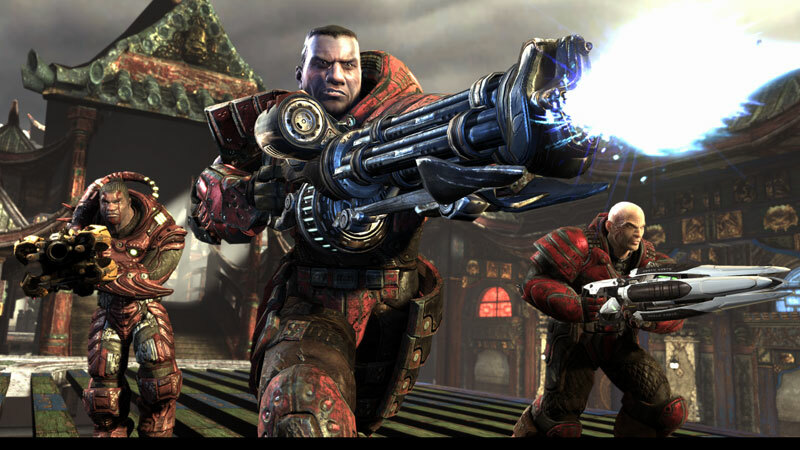 Midway and Epic Games have released a beta demo for Unreal Tournament 3, giving you the chance to try out this first person shooter sequel due to ship for PC this November. The beta demo consists of three different action-packed Deathmatch and Vehicle Capture the Flag maps: HeatRay, ShangriLa and Suspense. All maps in the demo can be played locally against bots, or online against human opponents. Crashed for me at first - Worked fine after my graphics drivers were updated. Great game, and the graphics are stunning! Worked perfectly for me on XP pro, even with an aging Radeon x700 Pro, manages to simulate HDR without drastic cut in framerate. This doesn't include the high quality textures that will be in the final build, which partially explains the the tiny download and install size. Visually spectacular, great lighting, the new vehicles are fun to drive, with greatly enhanced physics. The textures included with this beta demo aren't of the highest quality, in order to keep the file size down to 740mb instead of a couple of gigabytes. Still, it looks great and I get a steady 60FPS with my C2D E6320 (OC'd to 3.2GHz) and 8800 GTS 640mb (675/1512 and 1080) which is really surprising. The menus need to be completely revamped, though. They're so obviously dumbed down for console gamers. They're horrible. I can't fault the actual gameplay, however. Crashing horribly on two different high end machines both using Xp Pro with two completely different errors , which by the way make absolutely no sense. December release? May be to soon. The graphics are beefed up as they will be in the final version. The beta is also locked at 60 FPS. You can fix this by editing the ini file. The game runs great though, it is optimized. Only issues I and many others have had are the servers. It is difficult to connect/stay connected to servers. Part of the reason is that there are no dedicated servers by the company to go along with the beta. You have to rely on other peoples servers, and I don't know how many times there are connection issues, or you get in a game, and after a short period of time, a disconnect from server. Give it a try, it's a lot of fun, but still work needs to be done before final is released. There is a patch out for the DEMO for those with windows xp 64 systems.